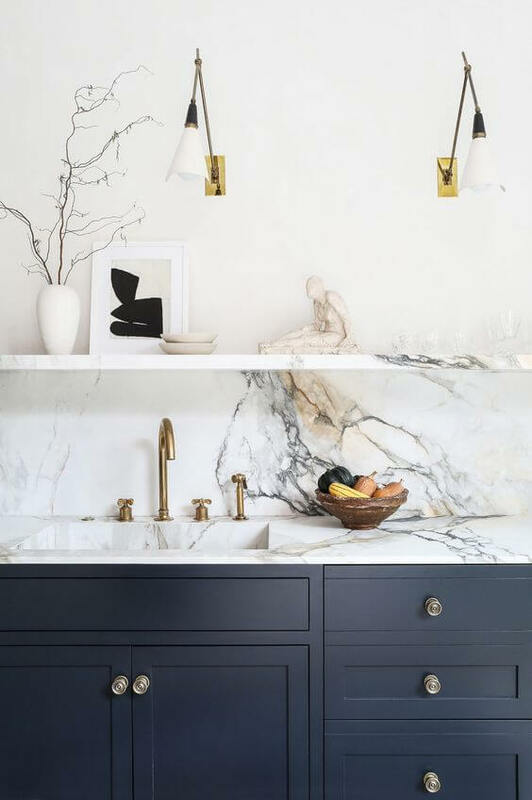 Mixing metals throughout your home (specifically in kitchens and baths) is not a new concept in 2019, but I still meet with clients all the time that love the mixed metal look, but are afraid to pull it off in their own homes. I think a lot of us are still scarred from the bright yellow brass of the 80’s and 90’s - those were some hard design times. 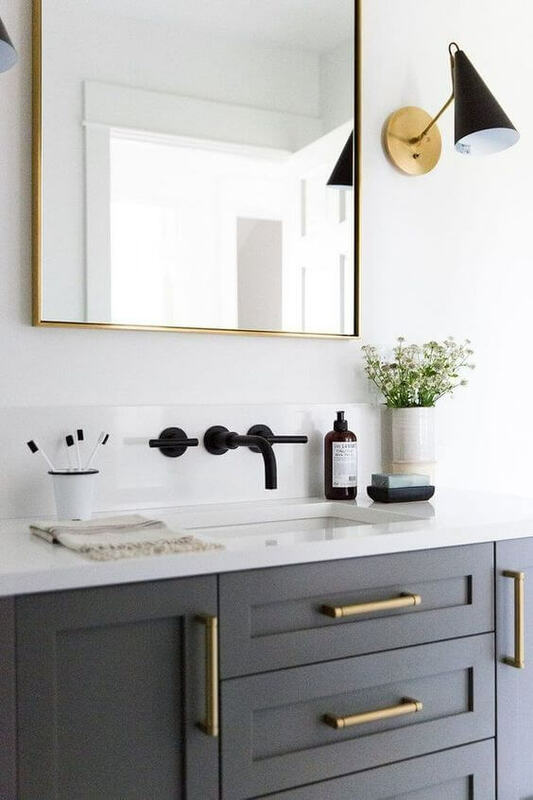 So, for many years, designers and homeowners stuck with 1 singular finish and called it a day: “My Entire Home will have Chrome Fixtures.” The End. 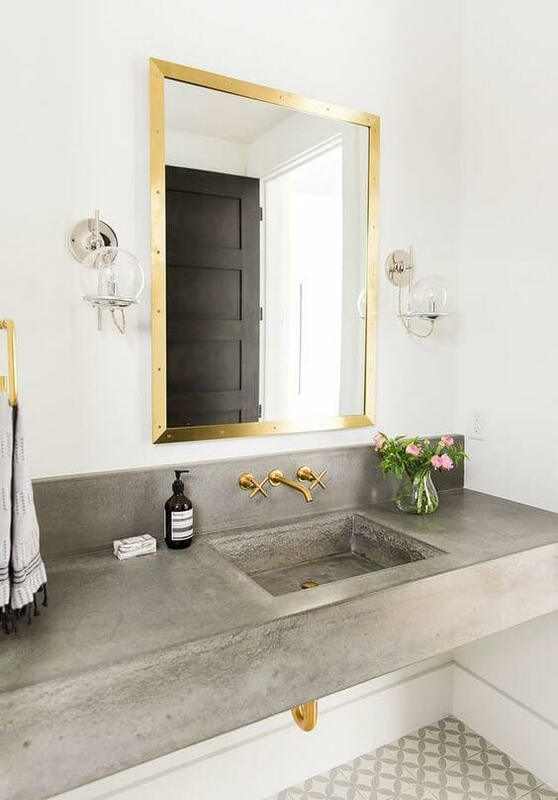 There is nothing wrong with having a single finish throughout your home, but I think I can convince you through the photos below, that mixing metal finishes adds a layer of depth, warmth, and charm to your interior. Let’s take a look. So you will notice that every single mixture of finishes in this post contains brass. If you are not into brass, this post is not for you lol! Brass pairs so very nicely with polished nickel. Not all “silver” finishes are created equal! Stainless is extremely matte and very plain silver looking. Chrome is a high shine and high polish look, and the silver color has much more blue undertone in it. Polished nickel has the high shine of chrome, but the silver color is warmer - with more gold undertones. 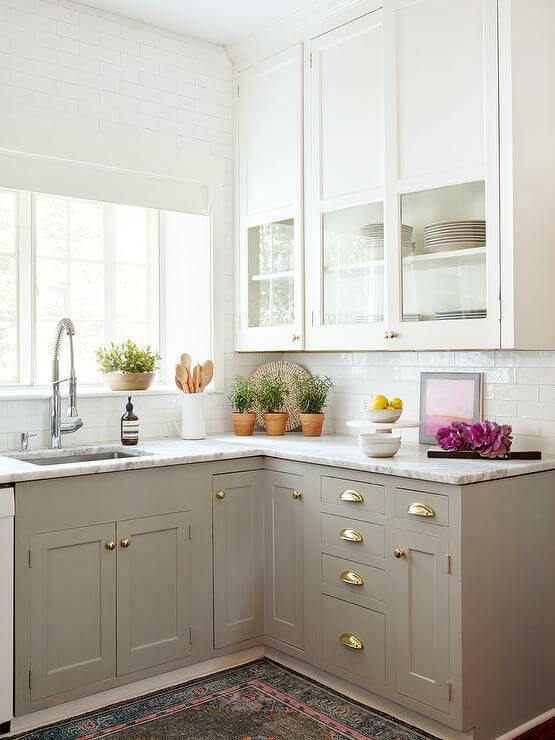 So, if you love the photos above, consider mixing matte brass or antique brass finishes with POLISHED NICKEL! The slight warmth of polished nickel pairs so perfectly with the warmth of antique brass. Combining matte black with brass is perfect if you love high contrast and a bit of drama. 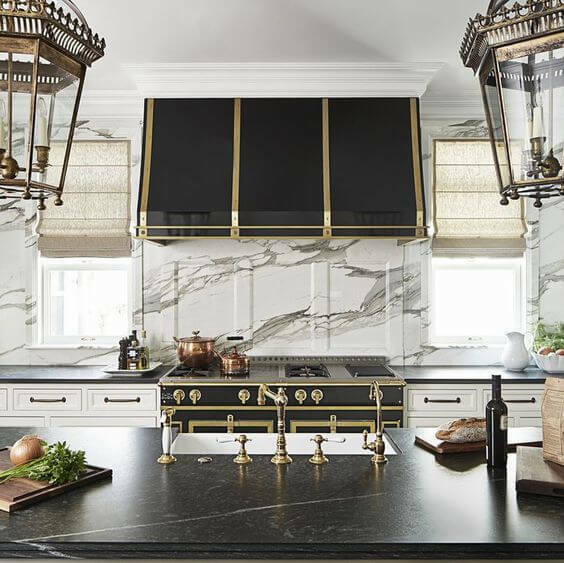 I really love matte black fixtures and finishes - how stunning is the black range hood with brass trim?! The matte black looks so crisp and bold, and you don’t need to use a ton of it to get the dramatic effect. Mixing matte black and brass is the pairing that goes a bit more modern to me, and delivers a lot of cool, edgy impact. The final combination of mixed metals we will look at today, is combining all three! Matte black + polished nickel + brass. 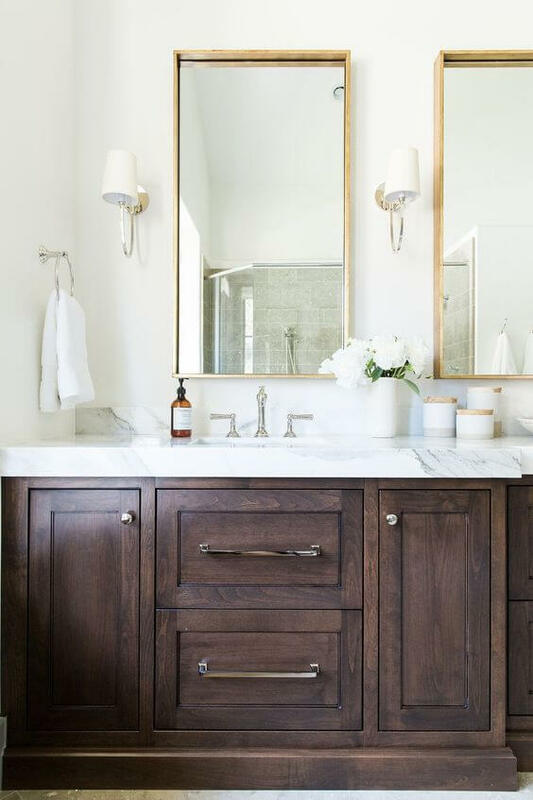 Suggesting 3 completely different finishes in a space as small as a bathroom sounds a bit much at first, but as you will see in the photos above, the trio just works! 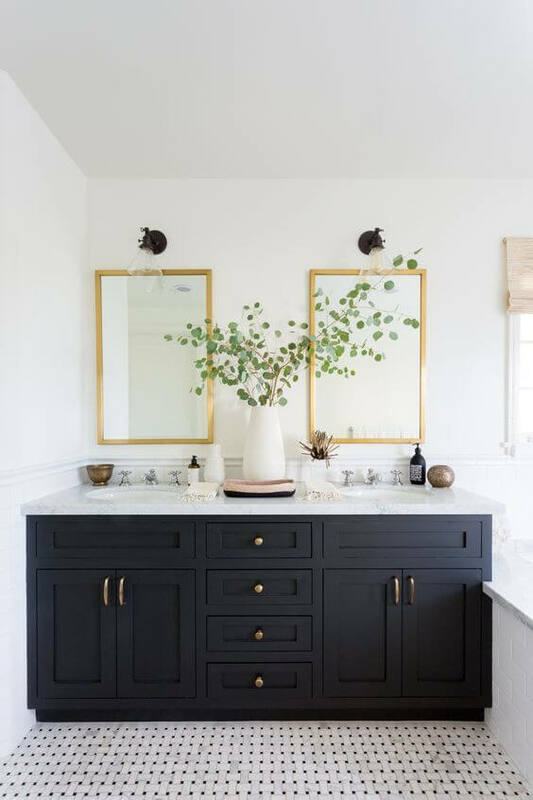 I typically find that if you want to mix the 3 finishes, keep the matte black finish more minimal, like in the 2 bathrooms with thinly framed black mirrors. The black is very minimal but still super impactful. However, there really are no firm design rules, because the black range hood in the kitchen photo above is large-and-in-charge and the combo is GREAT! 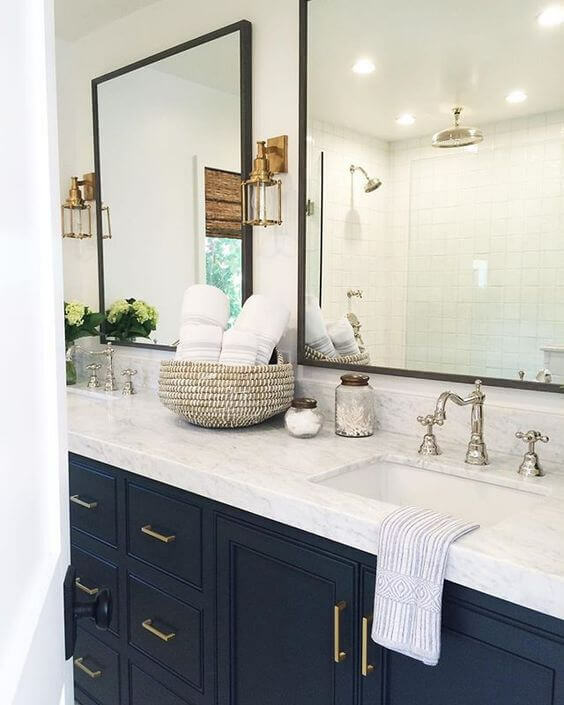 Another good way to add in the third finish is in the cabinet hardware - petite polished nickel cabinet knobs are a subtle addition to the otherwise black and brass mix.